A weekly collection of content from the wonderful world wide web that challenges us to explore the role of spirituality in society. Subscribe to receive this in your email here. 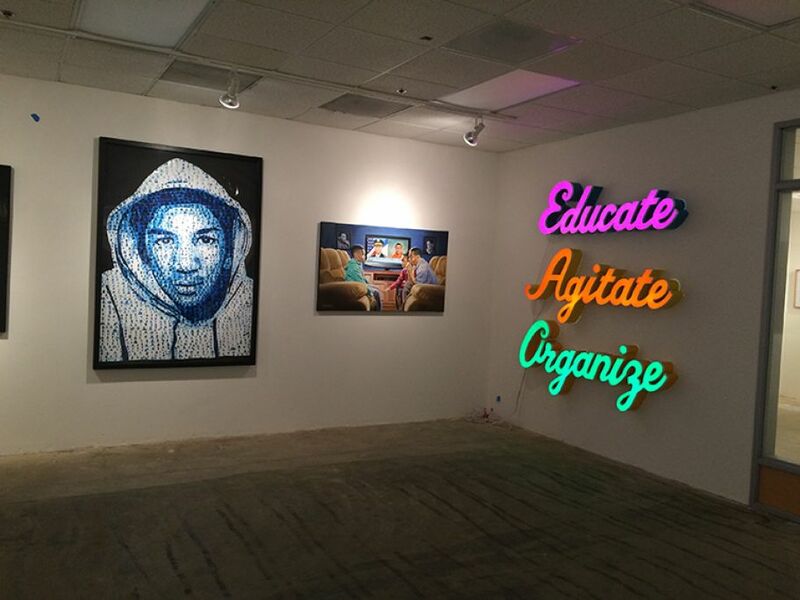 Manifest:Justice, a pop-up art show in Los Angeles, explores social justice causes through art. Yosi Sergant, the founder of TaskForce and producer of the exhibit, expects the impact of the commitment and creativity of 250 artists who came together to have ripple effects throughout society, specifically with the many young people who they have invited in to explore the art. Where does art and creativity fit in today’s activist agenda? Can you make more room for artists in your movement? Anne Lamott, on the cusp of her birthday, shares some brief bits of wisdom. Our favorite: “Almost everything will work again if you unplug it for a few minutes, including you.” If you were to write down “every single thing [you] know, as of today,” what would emerge? Share your wisdom with a friend, lover, colleague, or in the comments below.